Contrast a relaxed urbane aesthetic with touches of global textiles to achieve an eye-catching, sophisticated style in your home. Choose an exotic print to feature throughout the home and complement it with soft, natural textures and pared-back home décor. 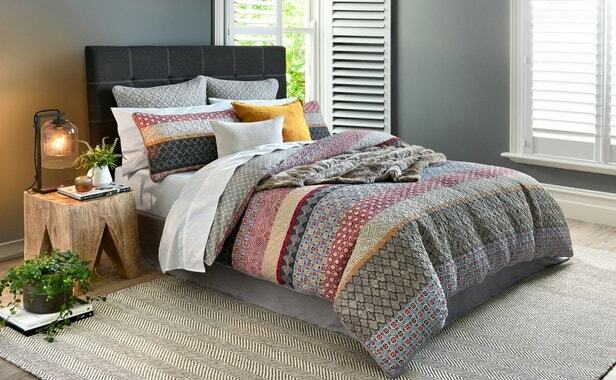 Create effortless style in your bedroom by complementing a striking print such as Luca with layers of soft textures in co-ordinating colours. Keep the look elegant by focusing on a single pattern and layering it with different textures in solid hues. Carry the look through the home by introducing the print in your napery. 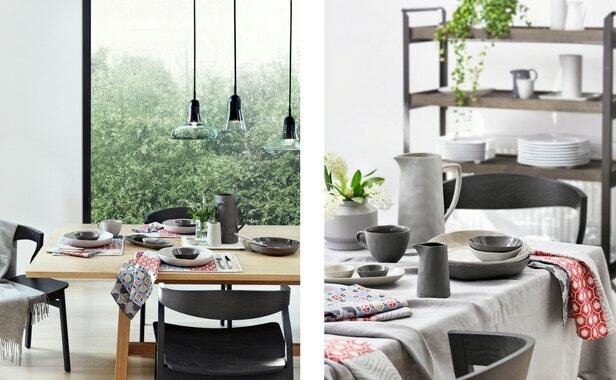 Pair it with organic shaped dinnerware and industrial elements to create a personalised look that can be mixed and matched with ease. 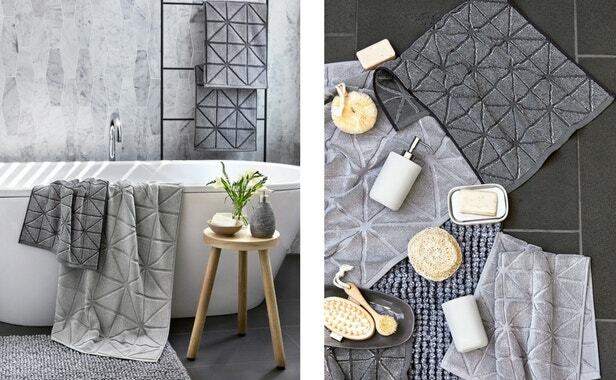 Simplicity is key when it comes to styling your bathroom. Crisp lines and considered shapes give your bathroom a clean, modern look while a touch of natural timber and fresh greenery injects life and warmth into the space. Mix and match towels: combine texture, pattern, and colour to create a fresh look. 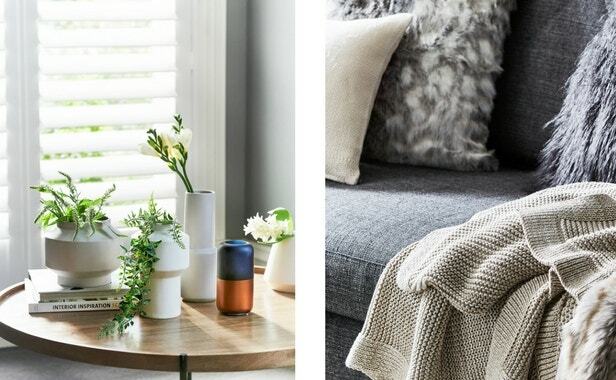 Layer cushions and throws in soft, natural textiles to create a warm and welcoming environment in your living room. Keep the look refined by using complementary textures in neutral tones. Modern vases in unique shapes add the perfect contemporary touch to complete the look.